I was so excited to be able to review this Himalayan Salt Lamp from the Himalayan Salt Shop. My husband has his degree in Secondary Education in Earth Science and loves stuff like this. When I took it out of the package and plugged it in, he said that this is the coolest thing that he has ever seen! This lamp could go in a living room, bedroom, family room, etc. It is perfect for anyplace in the home! Here is a picture of it all lit up! My take on it: I absolutely love this lamp. It is super easy to put the light in the lamp and it looks awesome in a bedroom. It gives enough light to see but is dim enough to be romantic. I think it is so neat that it is made of natural salt too! 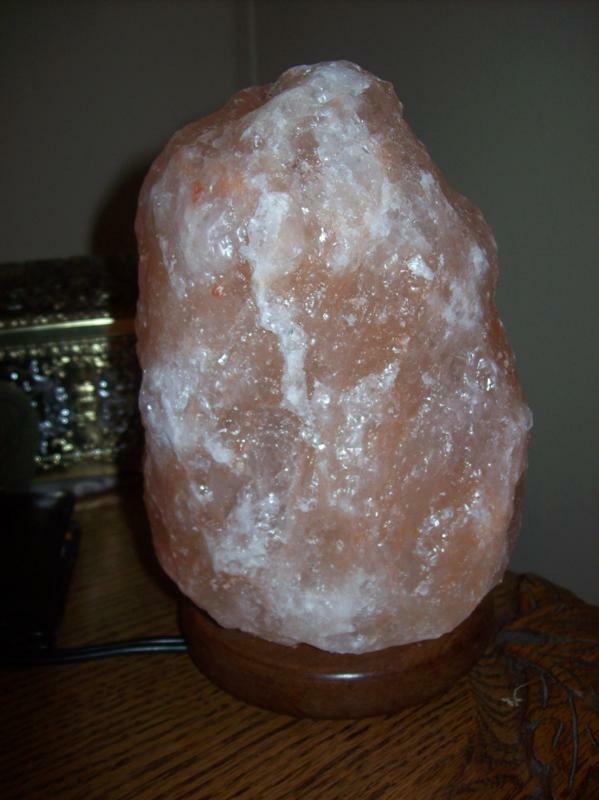 Where to buy: You can purchase this lamp on the Himalayan Salt Shop website for anywhere from $20-$100 depending on the size and shape you want. o i love these. I worked in an herbal/ayuverdic shop for a while and we sold them! you can actually buy broken up rocks and microwave them and then put them on whatever is hurting you. also put the broken up pieces in the bath. They last forever before melting! We love our's....great blog and reviews...thank you! Enjoy! I like this lamp, too. Is beautiful, with therapeutic effect, and acts as air purifier. Thanks for your informative post! I can't wait to read about your tips and tricks for healthy eating habits! I have 2 of these lamps and love them. The look goes with almost any decor style and the light at night is beautiful!